It's amazing how much we ALL respond to newspaper and watercolors. 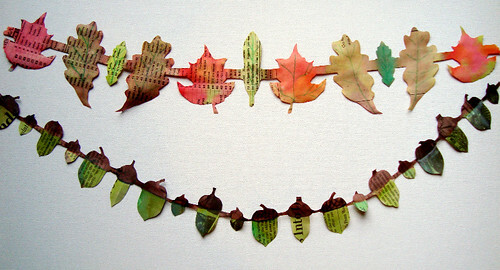 I also think paper chains must be part of our shared childhood memories... so I couldn't help but continue with the leaves. These are so little and delicate. I think I'll make several for hanging in the windows. Pencil erasers work wonders on taking a little ink off for creating faces. Glue sticks are indispensable for reattaching heads... ouch! 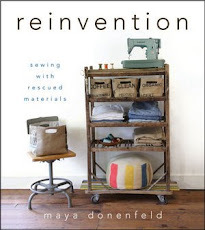 Can't wait to try this...I have three girls and we are always looking for creative projects...this is perfect. You have taken paper chains to a new level! This past weekend we collected our old t-shirts and knits to "repurpose" into skirts (inspired by your blog) Thank you for sharing your wonderful ideas! Loving these paper chains Maya. I want to try the evergreen trees for holiday. what fun. 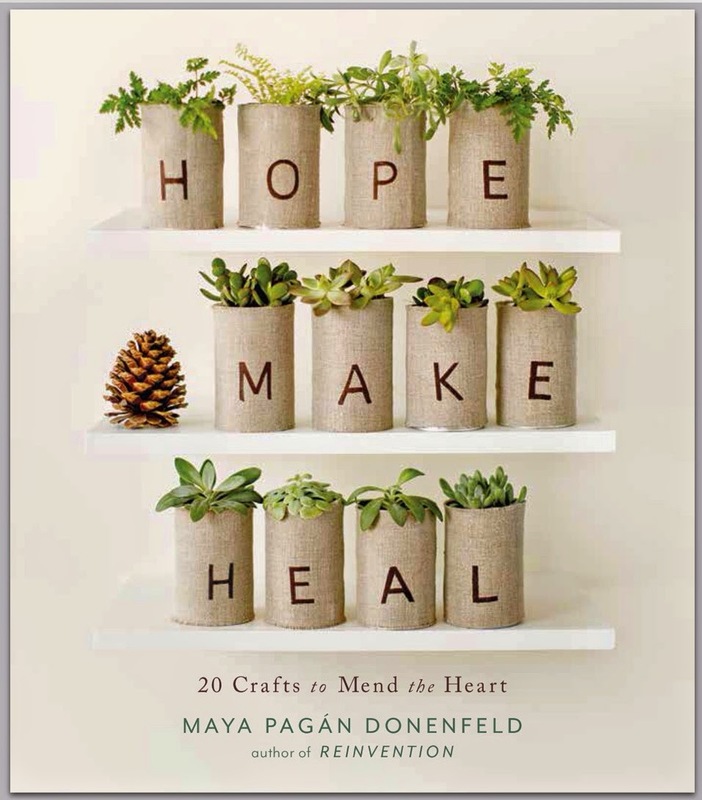 These are just such a wonderful idea - thank you for sharing and glad she is feeling better. Those are great! And you're right, there is just something about paper chains that take me back to childhood days! These are WONDERFUL! I love them! Oh, Maya. You've outdone yourself. I am head over heels for your acorns, up there. 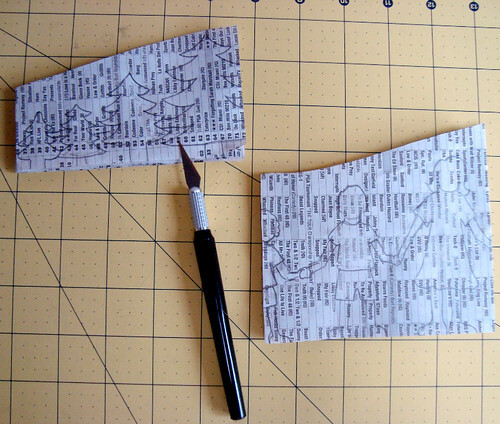 And yes, on the paper dolls -- technique to easy talks. We've suddenly fallen down the paper doll rabbit hole, with my two littlest, and I'm both thrilled and scrambling to brush up on 3-decades-old skills. This is such an inspiration. Thanks. I'm loving your paperchains. 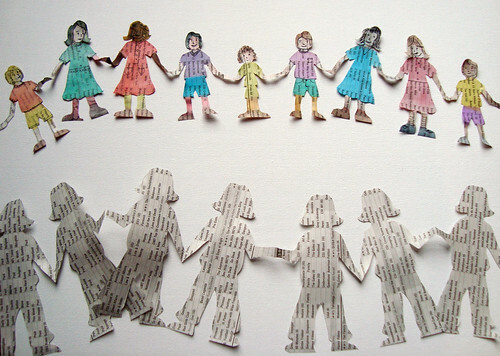 I have just returned from The Wearable arts Show in Wellington NZ..and part of the show were children in 'newspaper' costumes looking like paperchain girls with linked hands. thanks so much everyone for enjoying with me! Kellen- the evergreen one was so tricky for some reason... I have to keep working on it. I bet you'll be able to juggle four little ones (and the scissors) and make a beauty, you're just that good. Molly, glad to have company down the paper doll rabbit hole! Joan the Wearable Art Show sounds incredible. Serendipity, indeed! You know, I always forget how easy these are to make. My kids would love to paint some chains. Something to do next week. I am not keeping a newspaper, but I will ask my father to bring me some of theirs when I see them tomorrow!! I loved this so much i shared it on my link party! I wandered over here from Gardenmama - these paper chains are so lovely! I've been wanting to make some with my girls. I really love these. They seem so airy and sprightly. I want to make some, but I cannot figure out how you were able to make them all different shapes and sizes. How is your paper folded? 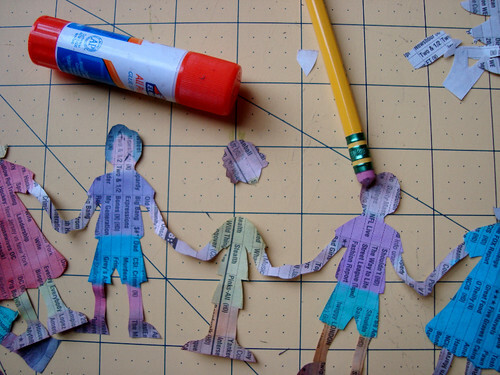 I grew up making the ones where you accordian the paper and then cut one shape/size and they end up all the same.